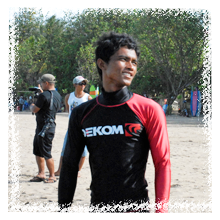 Bali Surfing DECOM Surf is a surfing school in Kuta Beach opened in summer 2011. 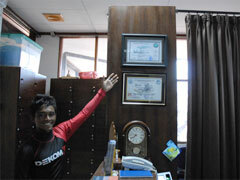 It is Japanese owned surf school, and they offer qualified service and great lesson. Wxperience Surfing is recommended for beginners. There are group and private courses that you can enjoy lessons. Japanese owned surf school opened in 2011! Reception is in the hotel, clean facility! Double image training is effective to success standing up on the board! 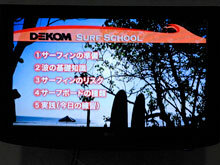 Experience Surfing of DEKOM Surf changes school schedule everyday because they offer lessons in best tide on the day. There are 3 types of lesson, Total Private (1 student, 1 instructor), Semi Private (2 students, 1 instructor) and Group (3 students, 1 instructor), and they offer qualified lesson in short time. Before going into the ocean, they offer Video Lecture + Beach Lecture, double image training, so you can succeed standing up on the board in a short lesson time. It can be say, concentrate lesson. DEKOM Surf changes school schedule / pick-up time everyday because they offer lessons in best tide on the day. You cannot change the lesson time, please understand it. * To prohibit the children who age 6~12 join group lesson. When does the lesson srtart? We have the lesson on the best wave time based on the tide for the day, so the start time will be different everyday. It is not acceptable to change it. Can I take a surfing lesson even though I am not good at swimming? It is required to be able to swim about 15m. Surfing is dangerous sports, so unfortunately we cannot provide the lesson if you cannot sweim at all. No, you don't. Don't worry! What languages do the instructors speak? 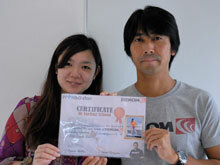 We have instructors who can speak English, Japanese and of course Indonesian. Each one's level is different, but you won't have a problem to communicate. What should I bring for the lesson? Swimwear, a change of clothes, sunblock, etc. What is important to prevent an injury? Warming-up exercise is necessary and please, listen to our instructors. We bring the first tool aid tool to the beach, so if it is not a serious injury, we can take care of it. Also, we will take you to the hospital if necessary. The insurance covers ＄2,500 in a case of the injury. Is the staff available at the office all the time? Can you take photos of me durfing the school with my camera? Unfortunately, it is not accepted because we cannot take a responsibility for any troubles. My friend have done surfing, but I have never done it. Can we take a lesson together even though we have different levels? It is possible, but will be the beginner course, so your friend might not be satisfied with it. We recommend you guys taking different courses, the beginner course and the intermediate course. Can I wait for my son and husband at the beach while they are taking the school? Yes, you can without any additional fees. 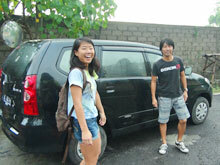 However, depending on the number of the people, you might need to take a taxi for the transportation by yourself. Please ask us more details. Can we stop by some souvenir shops on the way back? You can go shopping in Kuta after the lesson instead of going back to your hotsl. In that case, please find a way to go back on your own. 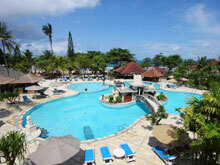 Beaches in Bali are Great! Beaches in Bali are great! 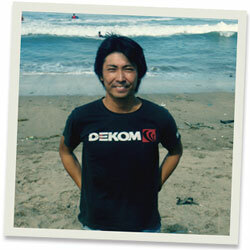 Kuta Beach where I experienced surfing has small waves that’s good for beginners. My girlfriend is a beginner and she also fully enjoyed surfing.